With over 15 years of clinical experience, Andrea is passionate about empowering clients to be the best version of themselves and to live their best lives. She works with couples, individuals and groups. Andrea has a warm, confident, proactive approach to the therapy and coaching she provides. She excels in collaborating with clients to create bespoke plans which help to facilitate accelerated results for the people she works with. Using psycho-education as a platform for empowerment, she passionately integrates the power of her clients’ aspirations to uncover blocks to success and replace them with strategies and techniques for breakthrough. Her approach can help you develop stronger self confidence, freer self-expression, happier healthier relationships and the ability to manage future challenges positively and effectively. Andrea helps both individuals and couples address a wide range of issues including: anxiety, stress, self-esteem, perfectionism, career issues, anger management, conflict resolution, depression, bereavement, relationship issues, sexual problems, fertility, finding the right relationship, OCD, phobias, chronic fatigue/ME, addiction, alcohol/substance misuse, gambling, eating disorders, spiritual issues. Couples work: breakdown, recovery from affairs, separation, relational boredom, loss of libido, domestic abuse, help to make your relationship the best it can be. 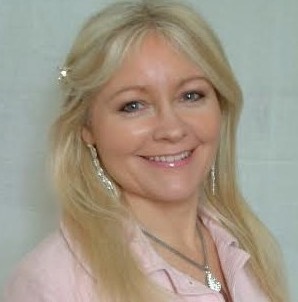 Andrea works in private practice as a Couple Therapist, individual Counsellor and Love and Life Breakthrough Coach. Alongside her private work she provides couples therapy for a relationship charity, and has previous experience of couple counselling in a variety of settings. A former Manager of an Addiction Treatment Programme at a Priory Hospital, she has also held the role of Addiction Therapist in other private residential rehabilitation centres. With a passion for psycho-education, Andrea has designed and delivered workshops for different target groups on relationships, recovery from addiction, self-esteem and spirituality. Andrea’s diverse training and experience enable her to work from an integrative base, drawing from various modalities including Psychodynamic Therapy, Person-Centred Therapy, CBT and Coaching, according to the individual and their particular needs. She also specialises in Emotionally Focused Couple Therapy, the only international model of couple therapy that is based on an empirically validated theory of adult love. This therapy facilitates couples to identify where they get stuck, to practise strategies to divert their destructive cycles and to then experience new, deeper, and more satisfying, ways to connect with each other. Andrea is a qualified and accredited Counsellor and Life Coach, with a Diploma in Counselling, certificates in both Life Breakthrough Coaching and Marriage Breakthrough Coaching. She holds a qualification in Emotionally Focused Couples Therapy (ICEEFT – the International Centre for Excellence in EFT) and a Certificate in Relationship Counselling from Marriage Care. Andrea is a registered member of the British Association of Counselling and Psychotherapy (BACP).